The long and short of it is that any investment into a a Section 12 J VCC (Venture Capital Company) is tax deductible! Pretty cool! And even better is that there is no limit to the amount of money you can invest (and therefore deduct on your Tax return). I must warn you in advance though, that a Section 12J investment is probably more for people who have a higher risk appetite and have maxed out their other Tax deductible options. The minimum investment required is also pretty steep. Okay, so if I haven't done any Section 12J investing myself, who the hell am I to tell you about it? So the next best thing I could think of is to find someone who is smart and pretty experienced in Section 12J Investing and claiming the tax back. Introducing *drum-roll please*........ Shane! 1. First up, just so the readers can get to know you a little better, tell us a little about yourself? 2. Right, so in a nutshell what is Section 12 J, and how did you find out about it? Section 12 J was created by the SA Government with effect from 1st July 2009, in creating funding opportunities for the growth of small enterprises. It gave investors (both retail and corporate) in these funds a tax incentive benefit in order to promote them. The investments in these funds need to be through a Venture Capital Company (VCC), registered through the SAVCA (South African Venture Capital Association). Investors can claim income tax deductions for their investment in these funds in exchange for VCC shares. The 12J section has a 12 year sunset clause i.e. it ends on 30 June 2021, but should get extended on review in 2021. How I did I find about it: I was looking for ways to limit my tax (read: Nkandla) contribution and came across Section 12J, but I must admit SARS doesn't do a great job at promoting it for obvious reasons :), Although VCC's are now getting more noticed and have a marketing spend budget post the launch of their first funds. 3. 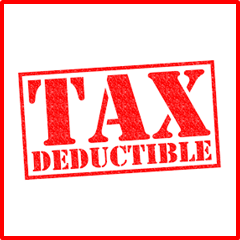 How does the Tax deduction work? Investors need to make sure the VCC is registered with SAVCA and SARS and have a registration no. which is used when filing your tax returns. Investors (retail and corporates) can approach a registered VCC, fill in the investment form and invest an amount not exceeding 25% of the overall fund value in exchange for VCC shares. Investors can then use the tax certificate given by the VCC to claim a 100% deduction of the amount from their taxable income through SARS (either directly at a SARS branch or using e-filing) as long as they stay invested for 5 consecutive financial years in the fund. An individual can therefore claim up to 41% and corporates up to 28% of tax benefit. 4. Is it a mission to fill out the tax return and claim your money back? Claiming your tax back is very easy, as SARS has streamlined the process through the annual tax filing route (using either branch filing or SARS e-filing system). I availed the tax benefit in my returns last year using e- filing and it was effortless. Keep the certificates in case you are audited by SARS and need to submit it to them. 5. When choosing a Section 12J VCC to invest in, what did you base your decision on? 2. Investment/contribution by the management team into its own fund - "Skin in the game"
6. Would you recommend Section 12J Investing? I would recommend retail and corporates to invest in 12J if they wish to increase their diversification across a different asset class. Obviously, these investments carry higher risks and should deliver a higher return than the average JSE return. An upfront tax benefit is however a good incentive for investors, Having said that, I think a retail investor should avoid contributing more than 5-8% of their entire investment portfolio into this asset class. 7. Any risks or pitfalls to be aware of? A Section 12J investment does definitely carry a higher risk than investing In shares/ETF's on the JSE as the invested companies are not listed and could go bust. A poor due diligence process and mis- management of the fund is also a risk to your investment. Doing an assessment of an investor risk appetite is therefore critical before investing in this asset class and hence I wouldn't recommend an exposure of more than 8% of one's portfolio. 8. What are your future plans with regards to Section 12J Investing? This is my second year of investing with section 12J, and for now I am happy getting the tax benefit in the short term and I am hopeful for the long term performance of the fund. I plan to continue investing till I reach about 5-8% of my portfolio size. Note that the limits and laws surrounding Section 12 J investments were correct at the time of writing. However the tax laws are forever changing - much like my wife's moods (the only reason I am brave enough to say that here, is that I know, in general, my wife does not read my blog posts. However, if Mrs. Stealthy is reading this, please could you put my pillow on the couch dear. and don't worry about dinner, I'll get myself a Big Mac :)). So if someone in the future from Unit 0x15, Section 12 J comes across this post, please bear in mind that some of the laws may have changed and best you get updated before making any investments. * Update - I am no longer running this website, it has been taken over by an external company. While doing my research for this blog post, I thought it would be really cool if all the Section 12J information and SARS approved Venture Capital Companies could all be together on one convenient website. While Googling I realised that nothing like this existed. I did eventually manage to find a list of Section 12J approved Venture Capital Companies on the SARS website, but only after some digging. I then had to navigate to numerous other websites and articles to get the entire Section 12J picture. So I figured if what I was looking for did not exist, then why not create it? And so www.invest12j.co.za was born. The idea was to gather all the Section 12 J VCC's into like a listing directory on a website with some contact details and information on the company. In this way people looking for a possible Section 12J investment can browse the various options and then make contact with their favourite - kind of like a dating site for the Section 12 J-ers. Then I also added an FAQ section, some articles, and upcoming Section 12J events - all this results in what I hope is a complete Section 12J resource. Anyways, if you have any comments or feedback on the website, or if you would like to see anything else added to the site, be sure to let me know! I also created a Twitter profile for the website - you can follow it if you like. Finally, I am very curious if any of the readers have done any Section 12J investing? I would love to hear about it! Don't be stingy :) Get in touch or leave a comment detailing your experiences.